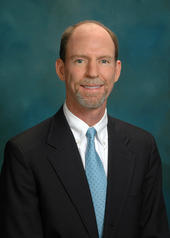 Dr. Straus is a native of Columbus, GA. He and his wife, the former Julie Blattner of Cape Girardeau, are excited to have just relocated to Cape Girardeau. He is proud graduate of Auburn University with a B.S. in Biology and received his DMD Degree from the Medical College of Georgia School of Dentistry in Augusta. Dr. Straus is an avid tennis player and hiker, but mostly enjoys Auburn Football, Southern History, and spending time with his family. He is involved with numerous civic and charitable organizations while being very active in the life of his church. He and his wife, Julie, have five children and two grandchildren. He combines 30+ years of practice experience with a strong commitment to continuing education and firmly believes in offering you the latest treatment options. For most individuals, choosing a dentist can be a very difficult decision. They want a practioner they can trust and with whom they can be comfortable to do what's best for them. Referrals are our number one source of acquiring new patients, and we take pride in the fact that our patients trust us enough to recommend us to their co-workers, friends, and family. I take this trust very seriously, because I have always considered my patients to be friends and members of our dental care family. That is why putting patients at ease about their dental needs has been top priority for me since I began practicing in 1984. Most of all, I want you to know that you can turn to me for all your dental needs - from tooth whitening to full reconstruction, I enjoy all the latest procedures. I take great interest in learning about new advances and better forms of treatment which are constantly developing in dentistry, and I feel that I owe it to my patients to be fully knowledgable about them. If you would like to know more, or if you would like to arrange an initial visit and free consultation, please call or email us today. Dr. Kaelin, myself, and our professionally trained and highly skilled team, look forward to welcoming you to our dental family here at Cape Girardeau Dental Care.